We are one of the leading Manufacturers in Agartala, Exporter & Suppliers of Loss On Heating And Thin Film Oven from Delhi based, We deals in superior quality of Loss On Heating And Thin Film Oven. Quality is checked at each stage and the final products are tested against stringent quality standards ensuring timely delivery in the process. 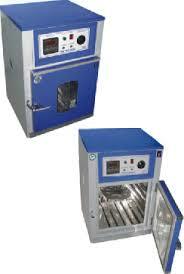 Toughened Glass view window to observe /Test the material without disturbing the Temperature condition of the chamber.